I’ve been a journalist since April of 1987. I had stories published prior to that but that was when I officially began my career with a job in the sports department at The Columbian Newspaper, where I spent 14 years. 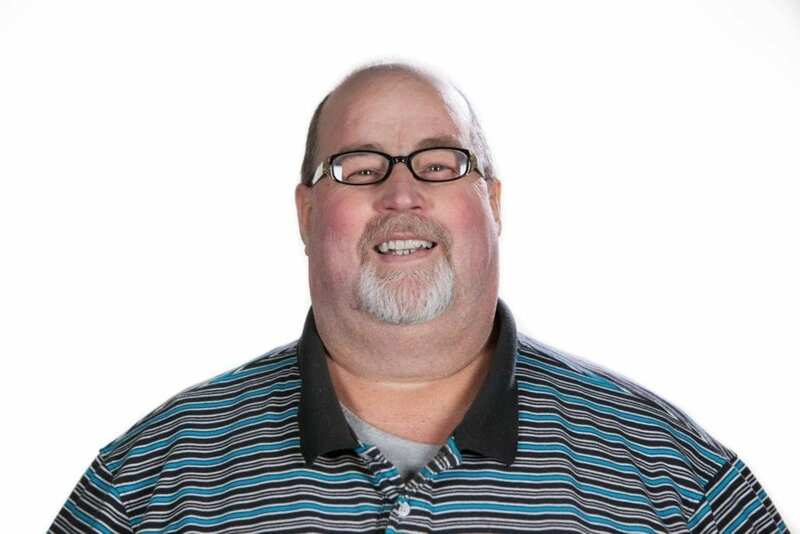 I had many mentors, friends and colleagues during my tenure at The Columbian, but one of my favorite people at that gig was Dave Jewett, an entertainment writer who, I believe, was best known for his movie reviews. At least, that’s how he first hooked me. Since I was, and still am, a movie buff, I gravitated to Dave. In fact, later in my stay at The Columbian, I even dreamed of applying for his job when he retired. Dave was one of the many journalists in my lifetime that I came to respect a great deal. And, he was so gracious to me, always willing to give advice and his time to a young, aspiring scribe like myself. Dave wrote a weekly entertainment column. My memory was that he had a very large and loyal group of readers of that column. Every so often, Dave would write a column that had multiple topics, written in shorter length than a standard column or editorial with one theme. You may have read the story I posted yesterday, updating the discussion about our transportation congestion issues here in Clark County. From now until the time I pass or retire, whichever comes first, I’m quite confident I will continue to write about this topic. That’s because the solution, or execution thereof, is quite likely going to take 20, 30 or even 50 years to complete. I’ve expressed to my readers before that I tend to become exasperated at times with politics. I don’t mind folks disagreeing, or having an honest discussion that includes opposing viewpoints, but when that turns into personal agendas, closed minds, deaf ears and personal animus, I can grow weary in a brief amount of time. I’m not to that point yet, but I certainly got there during the Columbia River Crossing fiasco. And, I think we’re headed right back into that kind of a fight once again. I talk to as many informed sources as I can. For whatever reason, some of the elected officials involved in this discussion won’t speak to me. You can read into that what you wish. I share with you from time to time my opinions and ideas and if that keeps some of our senators, representatives, mayors or councilors from returning my calls or emails, that’s the price I pay for doing my job. I would like to see a third or fourth crossing over the Columbia River before the Interstate 5 (I-5) bridge is replaced. The credible information I have received is that while the I-5 bridge is vulnerable to a major seismic event, so is most of the other bridges in the Portland-Vancouver area. And, other than a major seismic event, the I-5 bridge can stand for several more decades. I shudder to think what life will be life if an I-5 bridge replacement project is started without a third crossing. Vancouver City Councilor Jack Burkman explained in my (Feb. 28) update story a procedure that he believes would keep the construction from making traffic issues worse, but with all due respect to Burkman, I’m very skeptical. Traffic is so bad as it is, I just don’t see how the replacement project wouldn’t make things worse. Listen to Rep. Vicki Kraft’s comments during a one-on-one interview I conducted with her on Feb. 11 (https://www.clarkcountytoday.com/2017/02/11/transportation-congestions-solutions-discussed-at-lawmakers-town-hall-meeting/). I agree with Rep. Kraft. Both Burkman and Rep. Brandon Vick pointed out to me that they believe prioritizing the I-5 bridge replacement first over a third or fourth crossing is the practical thing to do. Burkman points out that you can’t build a bridge without a corridor and nothing is in the works for a new corridor. Vick believes the political landscape is such that the I-5 bridge replacement is the logical first step because of the needed cooperation from all parties, primarily the state of Oregon. I know Oregon lawmakers are still mad at their Washington counterparts, who killed the Columbia River Crossing in 2014. So what? Oregon’s legislators need to deal with that. Only a minority of Washington officials and residents believe the CRC was the answer. We need to get tough with Oregon. A recent report indicated Oregon had the 12th worst traffic problems in the United States. Burkman says they’re working on that, but I and many others, don’t see the fruits of any such effort. Also, I agree with Washougal City Councilor Dan Coursey. If we give Oregon an I-5 bridge replacement with light rail, why would they spend a dime on a third crossing? We would lose all leverage with them at that point. Clark County sent out a notice Wednesday announcing that parking fees at the four largest regional parks will once again be collected starting Mon., April 3. You might remember that parking fees were eliminated in 2013, largely thanks to the efforts of then councilors Tom Mielke and David Madore (owner and founder of ClarkCountyToday.com). I can’t count the number of Clark County citizens who have expressed their frustration to me that this policy change has been reversed. Last year, the Board of County Councilors agreed to resume fee collection at Frenchman’s Bar Regional Park, Lewisville Regional Park, Salmon Creek Regional Park/Klineline Pond and Vancouver Lake Regional Park. The county’s press release said the move was “to provide more sustainable parks funding and reduce vandalism and other illegal activities.’’ I look forward to satisfying my skepticism by delving deeper into this issue to determine if there are any flaws in that justification for the reinstatement of the fees. Parking fees will be $2 for motorcycles, $3 for cars, $6 for cars with trailers and $8 for buses or motor homes. I know those fees don’t sound egregious, but many of the folks who use those parks on a regular basis are seniors and families with modest incomes. They depend on the use of these parks to bring joy to their lives and they’ve already contributed by paying their taxes. I grew up in the type of family and socio-economic group that a fee like this was a burden, so it saddens me greatly to now hear from those who are being affected by this decision. So you have the information you need, here’s more from the county about the fees. Daily parking fees will be collected at fee booths, typically from May 1 through Sept. 30, and during busy off-season events. Fee booth attendants will accept cash, debit cards, Visa and MasterCard. No checks or Discover or American Express cards will be accepted. When fee booths are not staffed, park users will need to use self-pay stations. Only cash will be accepted at self-pay stations. Under Clark County Code, failure to pay parking fees could result in a $40 fine. Clark County 78th Street Operations Center, Building A, 4700 N.E. 78th St., 7 a.m. to 4:30 p.m. Monday through Friday. Clark County Permit Center, first floor, Public Service Center, 1300 Franklin St., 8 a.m. to 4 p.m. Monday through Friday. Debit and credit card transactions carry a $2.95 fee. Battle Ground Community Center, 912 E. Main St., 8 a.m. to 3 p.m. Monday through Friday. Annual passes also can be purchased at the four parks when fee booths are staffed. More information is available on the county’s website at www.clark.wa.gov/public-works/parking-fees. 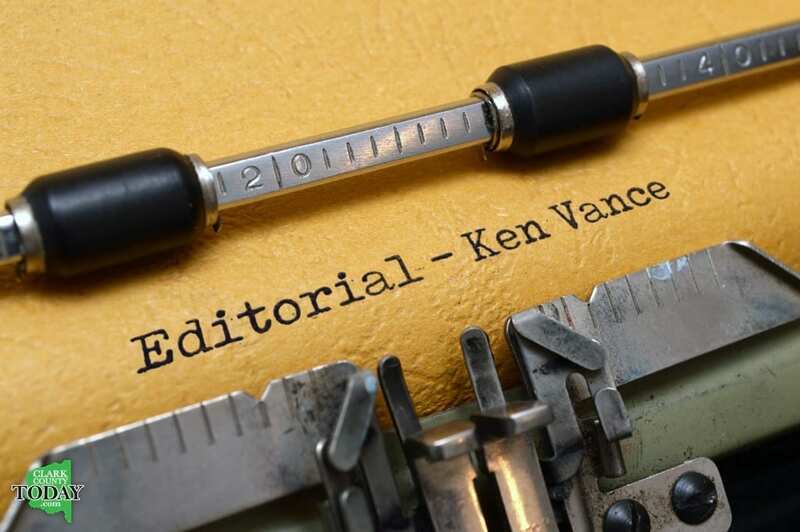 Ken Vance got his start in the newspaper industry in 1987 as a reporter at The Columbian Newspaper in Vancouver. Vance graduated from Stevenson High School in Stevenson, WA, and attended Clark College in Vancouver. He worked for The Columbian from 1987-2001. 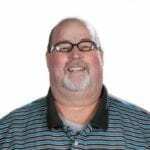 He was most recently a staff member of The Reflector Newspaper in Battle Ground, where he served as editor since 2010 and reporter since 2007. Vance’s work in the newspaper industry has won him multiple awards, including a first place award from the Society of Professional Journalists for in-depth reporting.